Create your own user-defined services Windows XP (Windows XP) - TACKtech Corp. This allow you to create a Windows user-defined service for Windows applications and some 16-bit applications (but not for batch files). The files are included with Windows XP. Adding Service (Note: Space between binpath= and "C:\ has to be there. 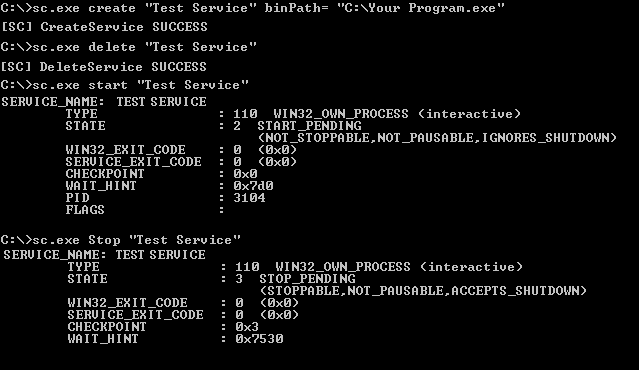 <path>\sc.exe create "Service Name" binPath= "C:\Your Program.exe"